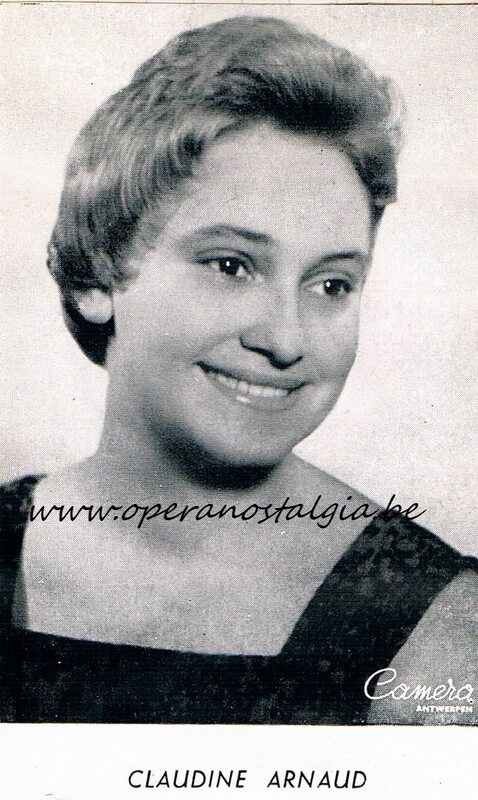 The Belgian coloratura soprano Claudine Arnaud died in Brussels on December 5, aged 77. She spent most of her career in Belgium and France and was married to the music critic Willy Clijmans. For three years in the mid-1960s she ruled Glyndebourne as Queen of the Night, in the Magic Flute. A very attractive light lyrical coloratura soprano voice very much in the style that was popular in the years after WW2 . I hadn’t heard of her before, but it is good to hear these excerpts. She sings musically with emotion and I am impressed by the ‘cleanliness’ of her technique.